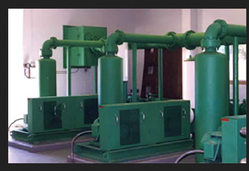 Blower silencers are required in many applications such as industrial processing and wastewater treatment. With a resume that includes hundreds of thousands of blower silencers sold to date, B&W Universal is an industry expert in meeting blower silencing needs. Banking on the skills of our qualified team of professionals, we are instrumental in offering supreme quality range of Blower Silencer. Starting range from 20000 rs. to 50 Lakhs rs. We manufacture silencers for roots blower. 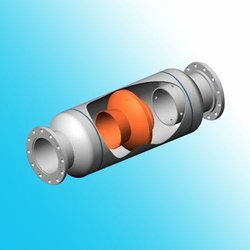 The silencers are manufactured in carbon steel or stainless steel. The Roots Blower Silencer are openable type for frequent cleaning in special cases. The prime requirement of Twin lobe blower silencers is for both silencing and pulsation dampening or reduction of vibration. Lobe type and multi-vane compressors generate high-energy noise levels at the fundamental and initial harmonic frequencies. With no absorptive pack, rugged construction and high quality materials, this multi-chamber design is tuned to handle these frequencies and is very effective in reducing tonal radiation from the pipe work connected to these machines. - Silencers are basically used to silent (attenuate) the sound caused either by friction of gases molecules or pressure drop in various process applications. Non Hazardous gases such as Steam, Oxygen, Nitrogen, Hydrogen, Air, Carbon Di-oxide etc are permitted to vent or deliver into atmosphere. Acoustic enclosures · absorption silencers · acoustic insulation · diesel engine radiator silencers · diesel engine exhaust silencers safety valve silencers · safety valve silencers · fan & blower silencers · steel stacks.